Today’s card was made using two challenges. The sketch is Beate’s WSC64 and the color combo is from Kristina’s Color Inspiration #29. All the colors are there. The CS I used is Elegant Eggplant, Pacific Point and WW. The flowers in the cake are Elegant Eggplant, Pacific Point and Taken with Teal. The fire on the candles is Pumpkin Pie. 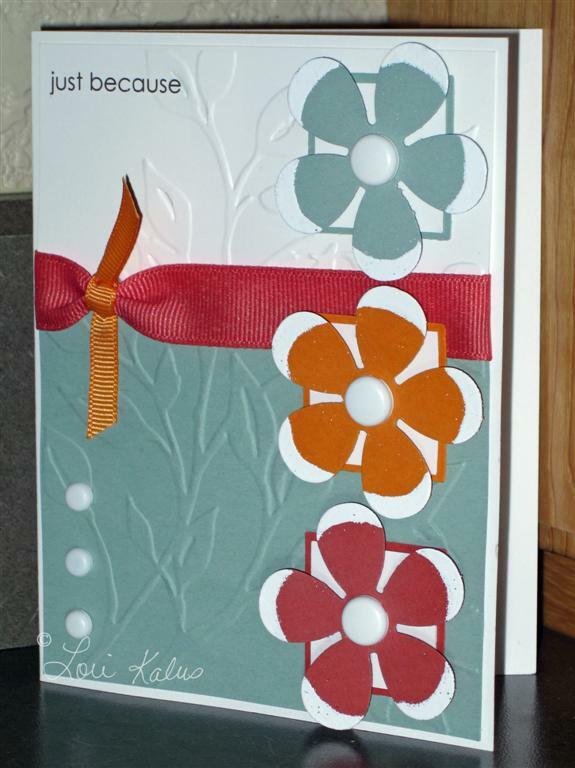 I embossed the first two layers on the card with my Stylized Flowers CB Embossing Folder. The white scallops on the second layer were made using the SU! scallop punch. I used Scalloped Oval Nestabilities for the main image layers. Each main layer is on dimensionals, which you can’t see. 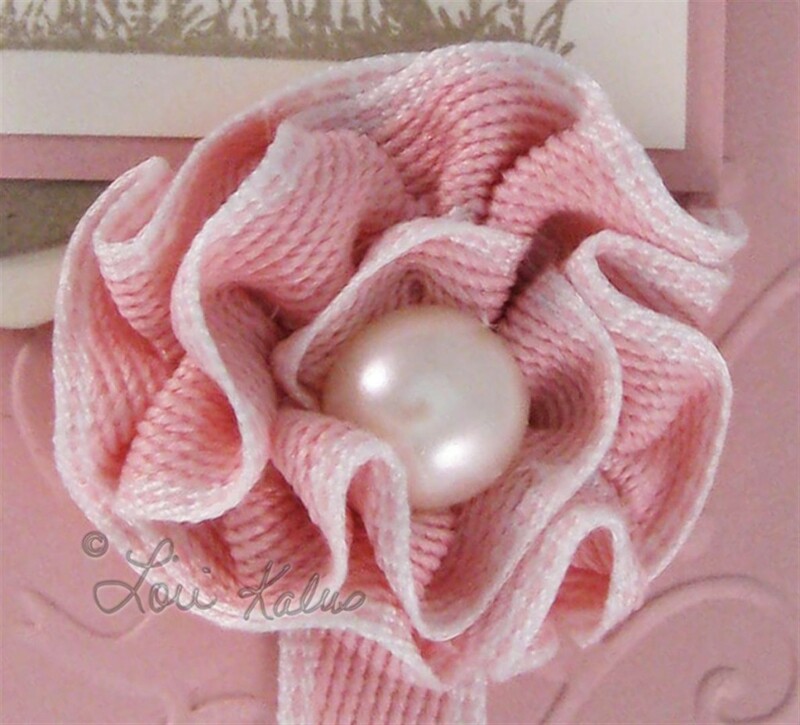 To finish the card, I attached a white flower from the Pretties Kit (SU!) with an Eggplant circle and white brad in the center. 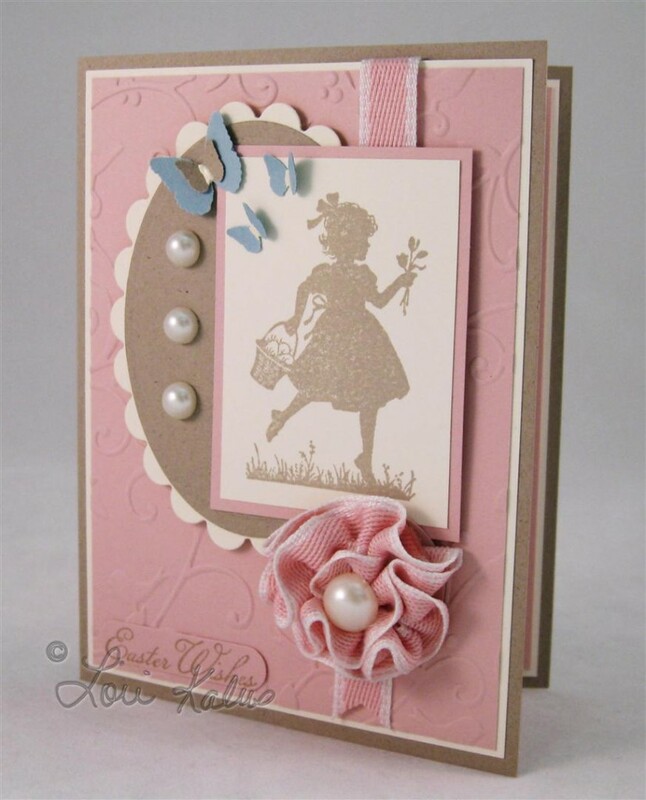 Tagged Beate's WSC, Cards, Color Inspiration Challenge, Stampin' Up! I decided to participate in a couple of challenges today. The first is a sketch challenge over at SC, SC200. 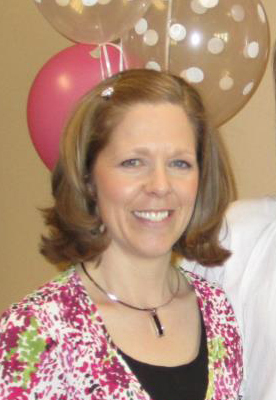 I combined this with Kristina Werner’s Color Inspiration #28 Challenge. I love making these flowers. First I punch them out with a flower punch, then I color each petal tip with my Versamark marker then emboss it with white embossing powder. Each flower is on a dimensional. 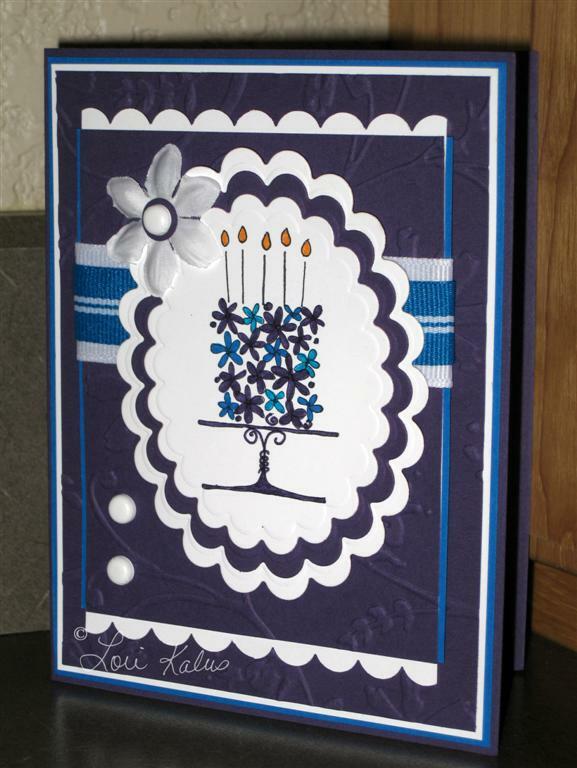 The Sage Shadow/WW layer is dry embossed with my Cuttlebug Leafy Branch folder. The sentiment is a rub-on from SU! Love & Happiness. Tagged Cards, Color Inspiration Challenge, SCS Sketch Challenge, Stampin' Up!